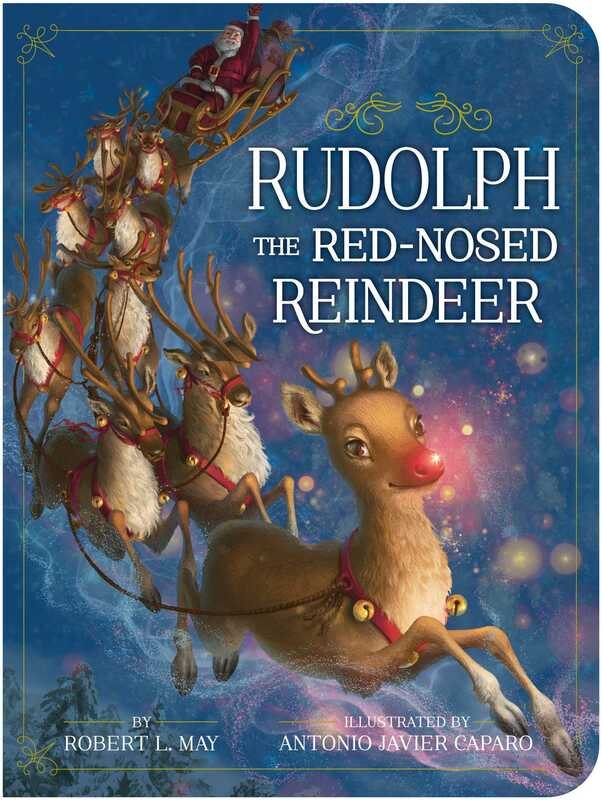 Celebrate Christmas with this Classic Board Book edition of Robert L. May’s famous Rudolph the Red-Nosed Reindeer. Every year at Christmastime, everyone—young and old alike—has one catchy, joy-inspiring song stuck in their heads: “Rudolph the Red-Nosed Reindeer!” Now fans of the most famous reindeer of all-time will fall in love with the original story, written by Robert L. May in 1939. Rudolph, a youthful reindeer buck who possesses an unusual luminous red nose, is teased and excluded by his peers because of this trait. One particularly stormy Christmas Eve, Rudolph manages to prove himself after Santa Claus catches sight of his nose and asks him to lead his sleigh for the evening. Rudolph agrees, saving Christmas, and is finally treated the way he deserves by his fellow reindeer!